Possessing the attribute of "Thunder", it is one of the legendary Ten Warriors Digimon that saved the ancient Digital World. 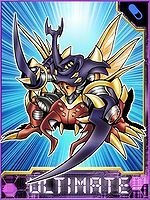 An Ultimate who existed only in the distant past, it has an appearance fused from many insects such as the Rhinoceros beetle and Stag beetle. 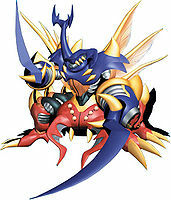 Its shell has a hardness rivaling that of Chrome Digizoid, so the falx on both of its arms can cut through anything, and it can easily lift up objects hundreds of times its own weight. 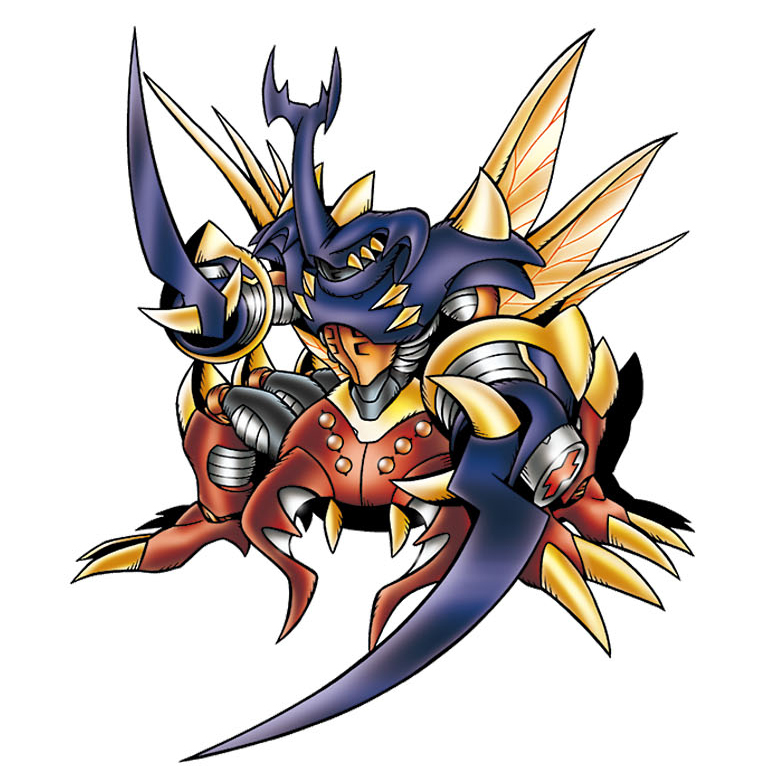 Ancient Beatmon's abilities were later passed on to the "Insect Digimon". 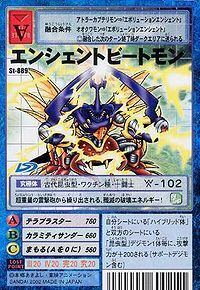 Its Special Moves are a calamitous thunder which brings about super-disasters (Calamity Thunder), and a super-electrical attack with a thousand times the power of Giga Blaster (Tera Blaster). Title: 「伝説の雷の闘士」 — "Legendary Warrior of Thunder"
| Beat is a misspelling of beet, short for beetle (「ビートル」 Bītoru). Tera Blaster  テラブラスター Tera Burasutā Attacks with a super-electrical discharge with a thousand times the power of HerakleKabuterimon's Giga Blaster. 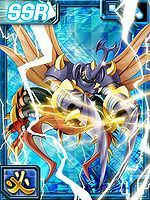 Calamity Thunder  カラミティサンダー Karamiti Sandā Attacks with a calamitous thunder which brings about super-disasters. 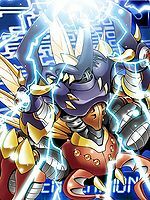 Ancient Beatmon was one of the Legendary Warrior Ten whose spirit was reborn in the Human Spirit of Thunder to create Blitzmon and the Beast Spirit of Thunder to create Bolgmon. Ancient Beatmon appears when Junpei uses Ancient Spirit Evolution attack. 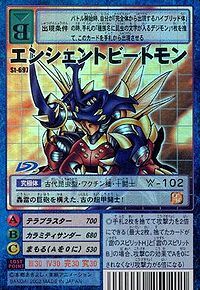 Ancient Beatmon can only be obtained as a collectible card. Its card is part of the Warrior Ten (十闘士 Juttoushi) set. Ancient Beatmon is available as a Digimon Medal. This ancient, super armored warrior is equipped with a huge roaring thunder cannon! Its super-heavyweight electrical cannons fire a blast of destructive energy that annihilates all in their path! 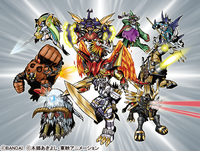 ↑ 8.0 8.1 Digimon Frontier: "Go Beyond Time! The Beginning of a New Legend"
This page was last modified on 5 April 2019, at 06:24.